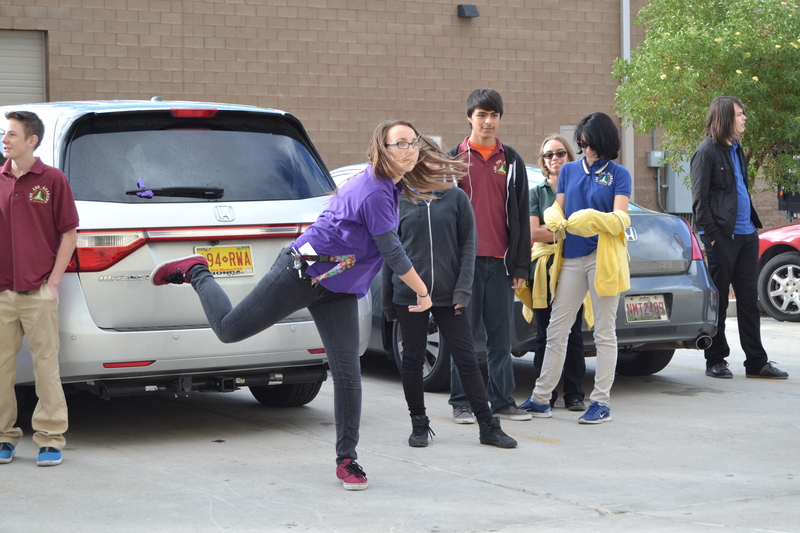 Scholars in Algebra II pitched tennis balls at a radar gun this week, to test velocity. 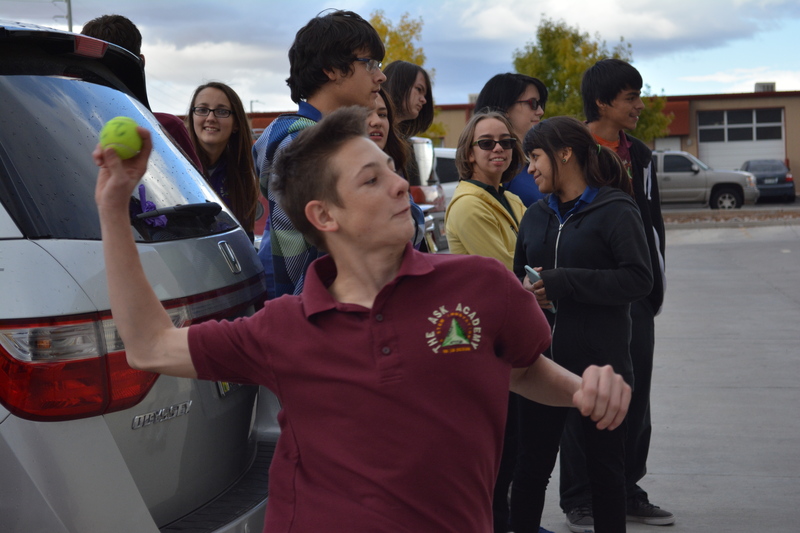 Scholars in Mr. Hostetler’s Algebra II class spent Wednesday throwing tennis balls at a radar gun, to test velocity. The next day, they learned how to program a formula — distance + rate x time — into their graphing calculators that checked the results of the radar gun. Hostetler said the two day project helped scholars apply the formula to real life. “The first day was just fun and throwing at the radar gun; the second day, when it was time to start calibrating their equations, they were interested and excited, and they really understood what they were trying to do,” he said. 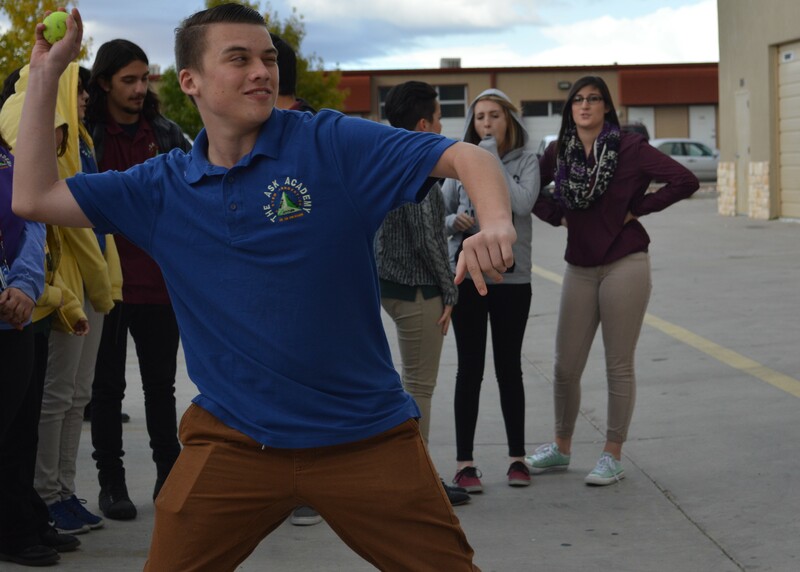 “Making programs on your calculator makes the math go quicker,” said sophomore Ryan Medina. 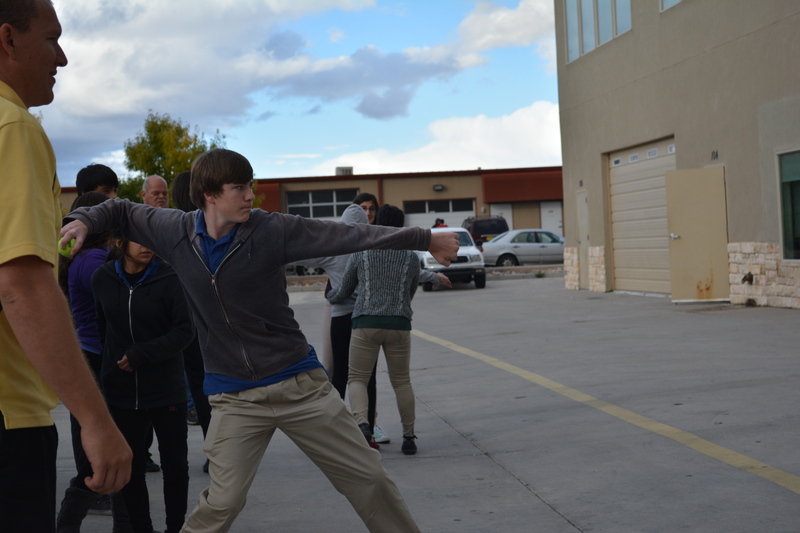 Scholars enjoyed being able to step out of the classroom for some friendly competition. Each student got to throw five times, hoping to increase their speed. At the end of the competition, the fastest thrower was junior Andrew MacKenzie, who pitched a speed of 72. Junior Kandace Haas was the fastest female, at 48. Chance Shanks said any time a manager can take math outside of the classroom and do something hands on, he learns better. “You’re more into the project because you get to go out and actually do it yourself, instead of just taking random speeds that people have thrown for you,” he said.